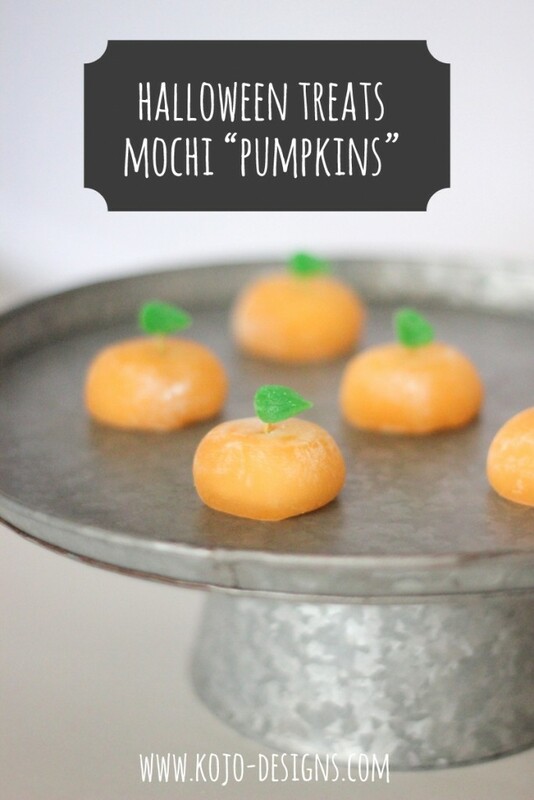 After our grand success making mochi ‘apples’ last spring, we thought it was high time we try to make Halloween treats out of our favorite Saipan treat (even though we aren’t in Saipan- haha!). 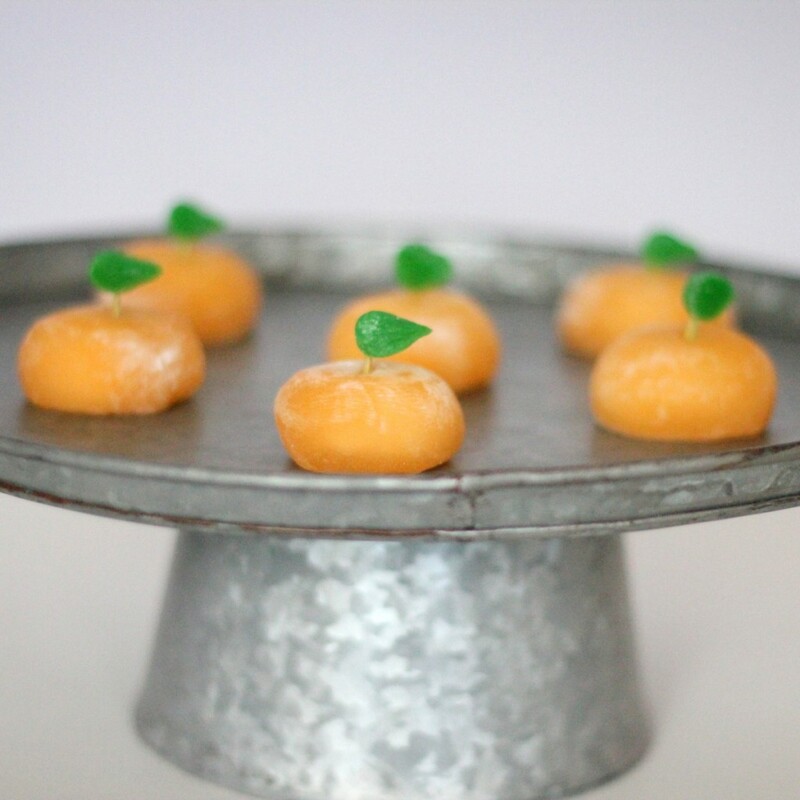 Wouldn’t these sweet little pumpkins be the perfect Halloween party food? Though, they are almost too cute to eat. 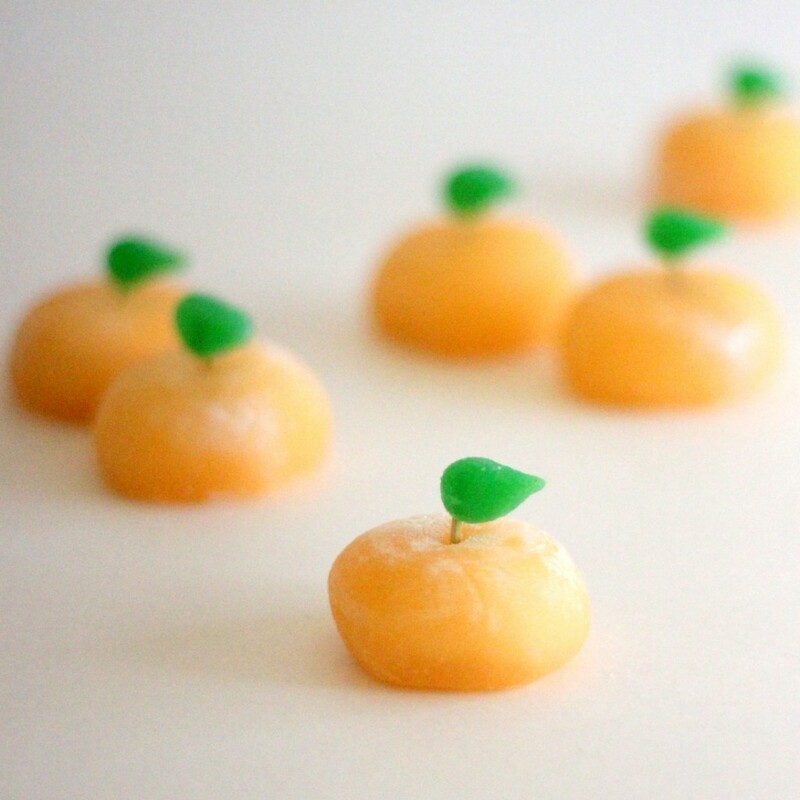 We followed the same apple-making process to put these together- cut green gumdrops in half, slid them onto cut toothpicks (cut even smaller for less ‘vine’) and pushed them into the center of the mochi. We also squeezed the gumdrop edge to a point to make it more pumpkin-leaf-ish. 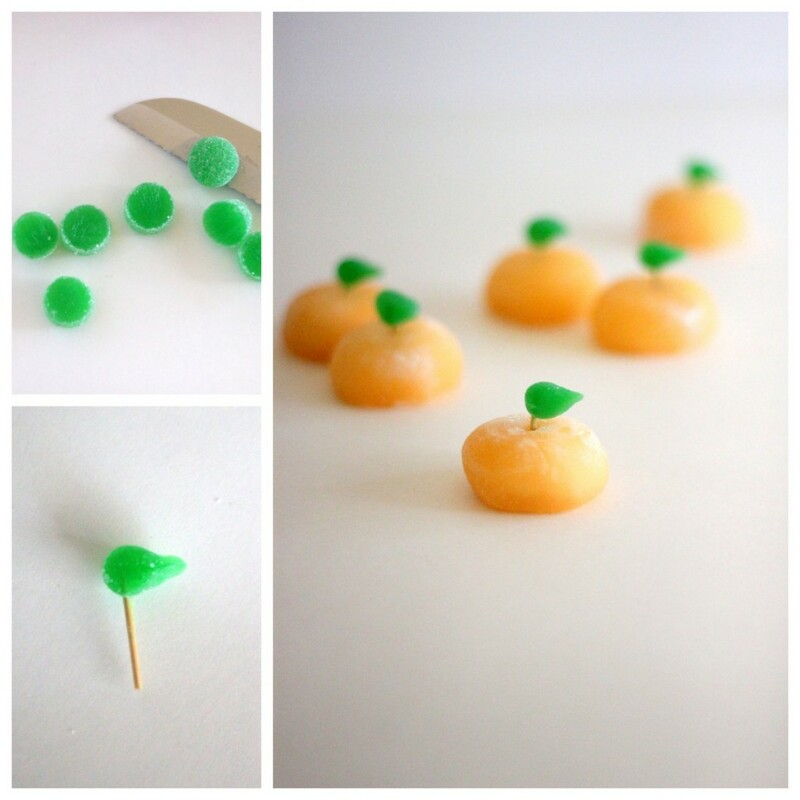 Aren’t they the cutest little Halloween treats ever? ps- Look for mochi at a Japanese grocery store, or on amazon.